Situated in the shadows of the Waterberg Mountains of Limpopo and a mere 2 hours drive from Johannesburg. This impressive 1600 hectare Golf Estate and Spa is stocked with plains game. Truly Eden on your doorstep. Spa & Relaxation “The Spa at Zebula” ensures that all your aches, pains and stresses are eased away. This award-winning Spa is not to be missed. GOLF the Peter Matkovich designed course reveals his usual flair for being both challenging and accommodating. Four tees are on offer for your preference with the longest one measuring 6829m. 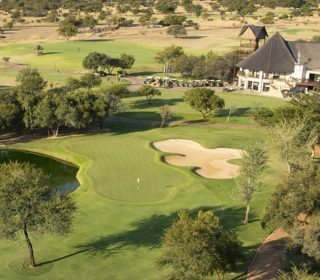 Peter went of his way to ensure the lands natural contours were followed and the result is a seamlessly integrated bushveld course that is second to none. Adventure & Activities With a myriad activities from which to choose, Zebula is all things to all people. Bush walks and drives, spa treatments, golf, interactions with animals, quad and horseback safaris, fishing, archery, clay target shooting and tennis. The list is as endless as the opportunities for fun for all members of the family. 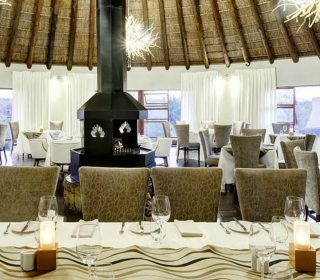 Restaurant Syringa Restaurant, The Terrace Restaurant and Golfers Express Restaurant ensures that every palette is catered for generously. "I don't know what else to say. I couldn't have asked for more than this." To cut the story short this place is like heaven....thank you to the Zebula team for welcoming us and making us feel at home..
Zebula is the best place to visit in Limpopo. Food is great and the staff is amazing. Great atmosphere. What a bunch of friendly people from the reception to the Pro shop to the halfway house. Pro Shop staff absolute pleasure to deal with. Zebula Golf Estate & Spa are indeed reflecting a true image of a well managed lodge. Zebula management have obviously picked their staff very carefully. Accommodation Fit For A King The pièce de résistance of Zebula is the many, varied accommodation options available to guests. These options vary from 5-star lodges to self-contained 8-bedroom houses. Each stay is professionally tailored to suite each individual need. 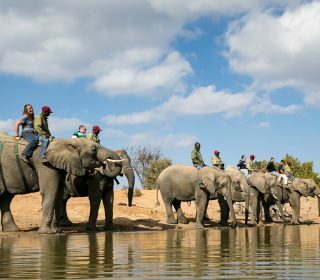 Experience True Bushveld Hospitality Memorable experiences offered on the property include horse-riding, quad biking, Elephant educational experiences, game drives, game walks, Cheetah run, helicopter flips and coming soon - Falcons and Owls are set to join in the fun and games. Zebula truly offers memorable activities to every guest. Visit our recently launched Wild Raptor Conservancy The Wild Raptor Conservancy is a bird of prey rehabilitation center with emphasis on conservation through education and rehabilitation. We look forward to sharing our story with you. At Zebula Golf Resort and Spa we offer accommodation options that can fit a wide range of needs, whether you’re vacationing alone, traveling with your family or planning a company conference, our accommodation options will ensure the perfect getaway.